A wooden lodge placed close to Stottesdon in Shropshire, it sleeps four people in two bedrooms. 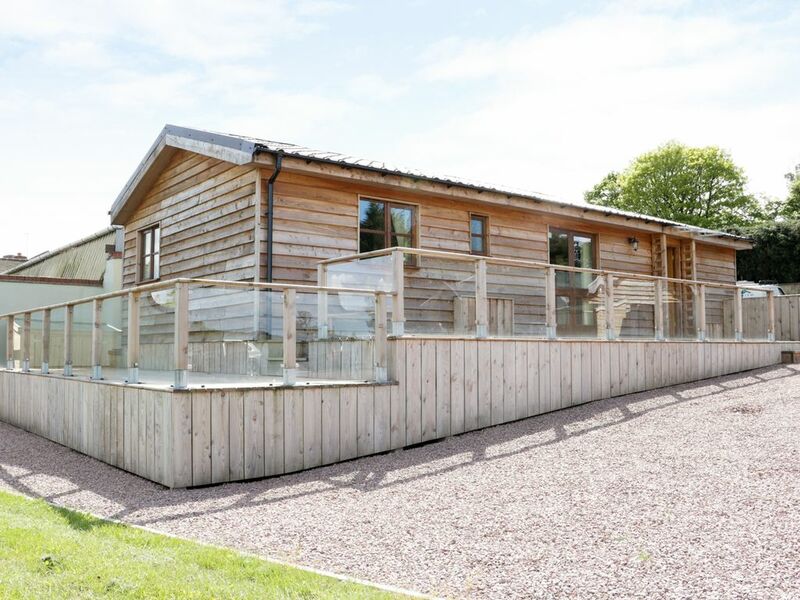 Hill View Lodge 1 is a bespoke log cabin situated near Stottesdon in Shropshire. It comes with two bedrooms, a double and a twin, as well as a family bathroom and a cloakroom, the property is able to sleep four people. Inside, also find a kitchen and a living/dining room. The exterior of this lodge offers plenty of off-road parking as well as a decking with furniture. Hill View Lodge 1 is a welcoming getaway in a fine location for exploring the magnificent countryside, activities and attractions of both Shropshire and Worcestershire. Amenities: Gas central heating, electric oven and hob, microwave, fridge/freezer, washing machine, TV, DVD, selection of books, games and DVDs. Fuel and power inc. in rent. Bed linen and towels inc. in rent. Highchair and travel cot available on request. Ample off-road parking. Decking with furniture. 2 well-behaved dogs welcome. Sorry, no smoking. Shop and pub 2.5 miles. Note: This property has a check in time of 4pm, and check out of 11am. Town: Stottesdon rests in Shropshire countryside between Bridgnorth and Ludlow. It offers a shop and a pub serving food as well as many walks, cycle trails and bridleways. Bridgnorth, 10 miles away, boasts a market and a wealth of amenities. The area abounds in country parks, National Trust houses and museums, as well as access to the Severn Valley Railway, West Midland Safari Park, the Royal Air Force Museum at Cosford, and Ironbridge Gorge. All ground floor. Two bedrooms: 1 x double, 1 x twin. Bathroom with a separate shower, basin and WC, cloakroom with a basin and WC. Kitchen. Living/dining room. Gas central heating, electric oven and hob, microwave, fridge/freezer, washing machine, TV, DVD, selection of books, games and DVDs. Fuel and power inc. in rent. Bed linen and towels inc. in rent. Highchair and travel cot available on request. Ample off-road parking. Decking with furniture. 2 well-behaved dogs welcome. Sorry, no smoking. Shop and pub 2.5 miles. Note: This property has a check in time of 4pm, and check out of 11am.